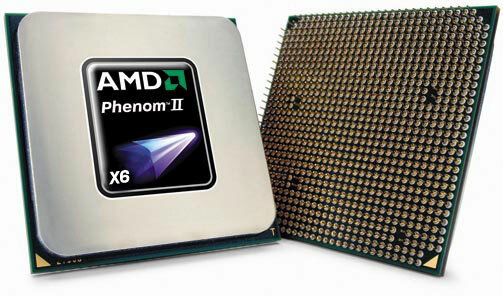 After reviewing the top of the line Phenom II X6 1090T, AMD sent us its smaller brother, Phenom II X6 1055T ticking at 2.80 GHz. Now, if you consider 1090T something of a pure breed racing horse, 1055T could be considered as pure breed working mule. With some clever competitive pricing, AMD is bringing six physical cores to the mainstream market, along with all of the improvements and technology upgrades Phenom II X6 1090T showed us a while back. Clocked to lower values for the same price tag, yes, but its main competitors Core i5 750 and Phenom II X4 965 should not take the new AMD's 1055T lightly. We received our test sample in tray package, but retail version packaging comes with AMD certified cooler, manual and three year warranty.